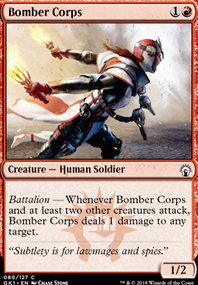 Battalion — Whenever Tajic and at least two other creatures attack, Tajic gets +5/+5 until end of turn. 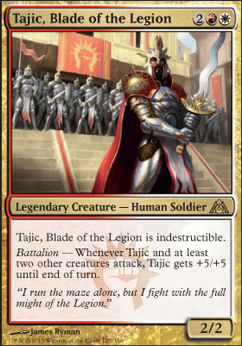 I would consider replacing Seraph of the Sword with Tajic, Blade of the Legion . It works better with repeated combat phases in my opinion and has the similar effect of being difficult to remove. 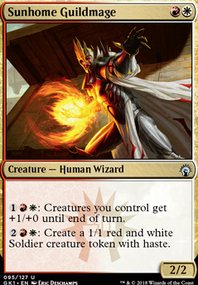 Looks like I'll be building a boros deck for FNM. I Did get a Runaway Steam-Kin. Worth putting in too?? 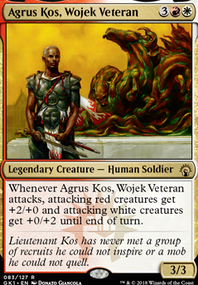 Boros aggro is your best shot. 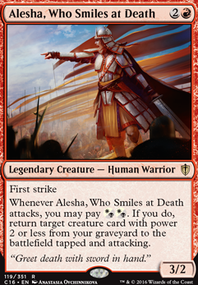 Boros Challenger, Swiftblade Vindicator, Tajic, Blade of the Legion and Aurelia, Exemplar of Justice are all top notch threats. 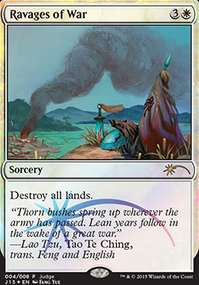 Deafening Clarion, Integrity / Intervention and Response / Resurgence are all top-notch non-creature spells. 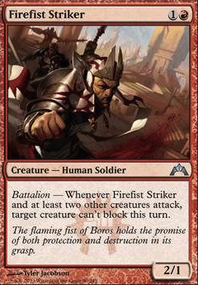 Additonally, Boros can roll into aggro once Rakdos arrives in a few months. You can use any print as long as at least one is legal in Standard. Old Guttersnipes are just as good as new ones. I imagine you're running way too many lands. I think the big issue this deck has (and just R/W in general usually has) is it's lack of draw. 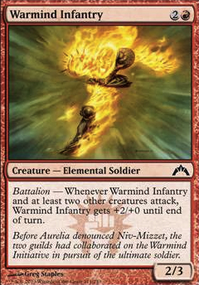 Consider adding your Mentor of the Meek to the main board or a second Arch of Orazca for some much needed draw. Huatli might be a little under utilized compared to another angel, but I think she'll be fine overall. All in all a fun deck list I think if you can get it rolling. That's an easy +1 from me. 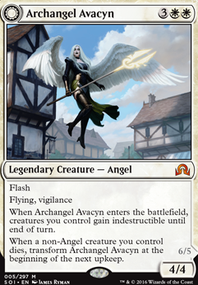 For new card suggestions, Sarkhan's Unsealing could add some extra bang to the entrance of your biggest angels. 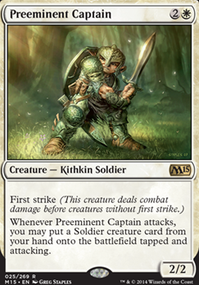 Ajani, Adversary of Tyrants assists your little guys and mentors. 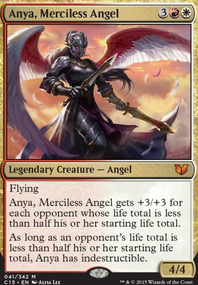 I think if we're looking at pure fun, I think the Weatherlight is a blast to play with in Midrange and it'll help you get Aurelia and Lyra super quick, and it can be piloted easily enough by your setup's 3 drops. Everything passed this is kinda safe to ignore if you're happy with your deck as Midrange. 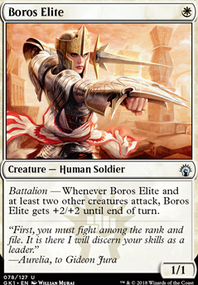 While it's kind of a moot point since you're not aggro, I agree with Southland in that Boros Challenger has potential, but if you're dead set on triggering Path of Mettle, consider Sunhome Stalwart. 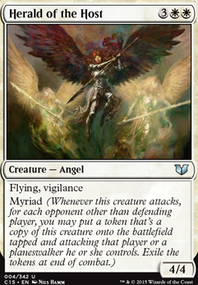 Knight of Grace is good and pretty darn cool, and it doesn't die to black removal or Vraska, Golgari Queen but it's not going to help push the game for you or synergize with Aurelia. 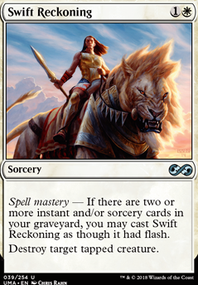 Lastly, I think your deck lends itself really well to a Tempo build with your current costs. 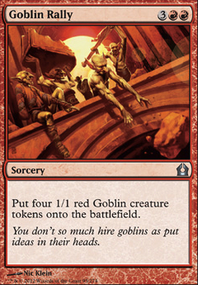 Consider looking into Goblin Banneret, he can even Mentor your Angels if you give him a chance! 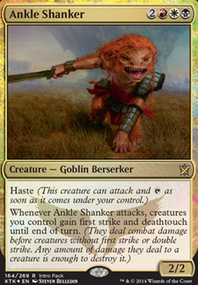 Playing the Goblin or Healer's Hawk gives you a nice curve to play your angels into, and they're both great Mentor targets. 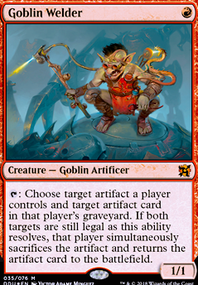 It's not quite aggro, because you'd be playing them as filler creatures hoping to get some advantageous trades as your opponent burns removal on them. 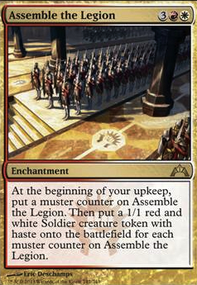 It's just a little more buffer room for you to sweep the game with your Angel Army when Resplendent Angel and Lyra Dawnbringer hit the board.